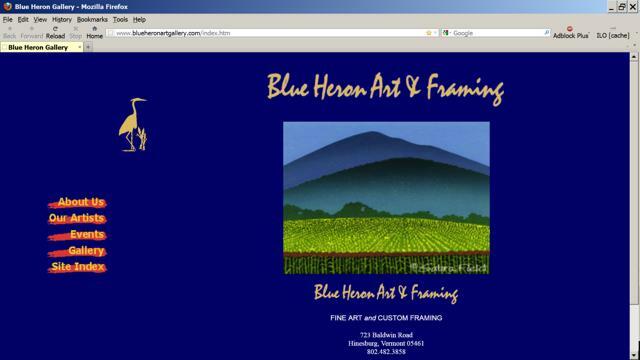 Blue Heron Art & Framing has evolved into a purveyor of some of the finest art available in the state. Connie and Ron Lavallee have located their gallery in a charming nineteenth century barn in Hinesburg, Vermont, with views of Camel's Hump. The gallery features original art, certified framing, and the world-renowned woodblock prints of Sabra Field. HarperCo developed the site with its online gallery of more than 20 artists in 2002 and has maintained it through its entire life.